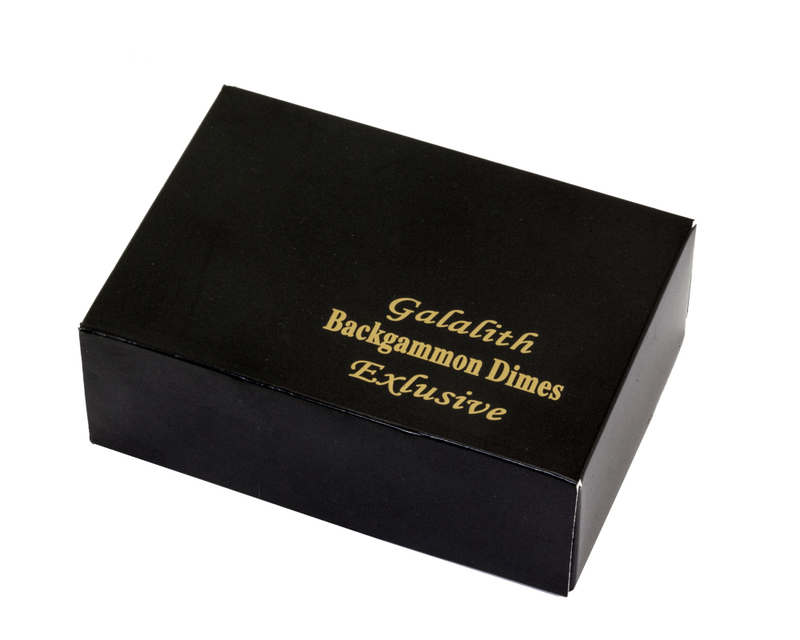 These wonderful luxury backgammon stones are made from Galalith which is a classic synthetic plastic created by melding milk casein with a forma of formaldehyde. 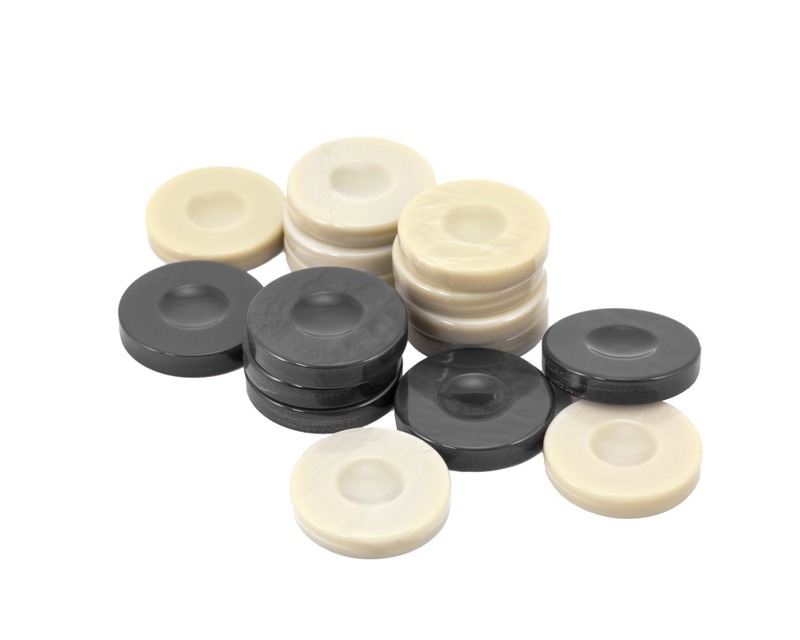 Galalith is derived from the Greek words 'gala' - Milk and 'lithos' - Stone. 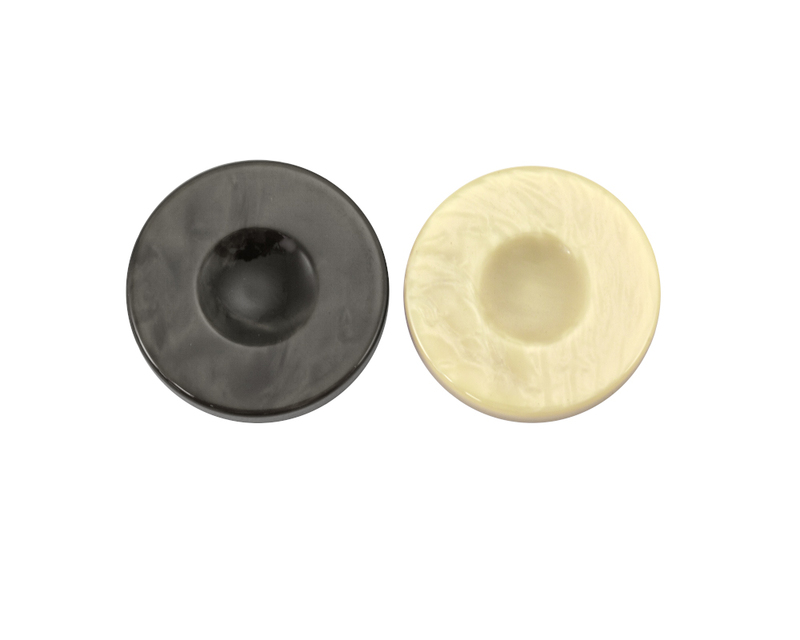 It creates a robust counter with a finish that has a stunning depth of tone. 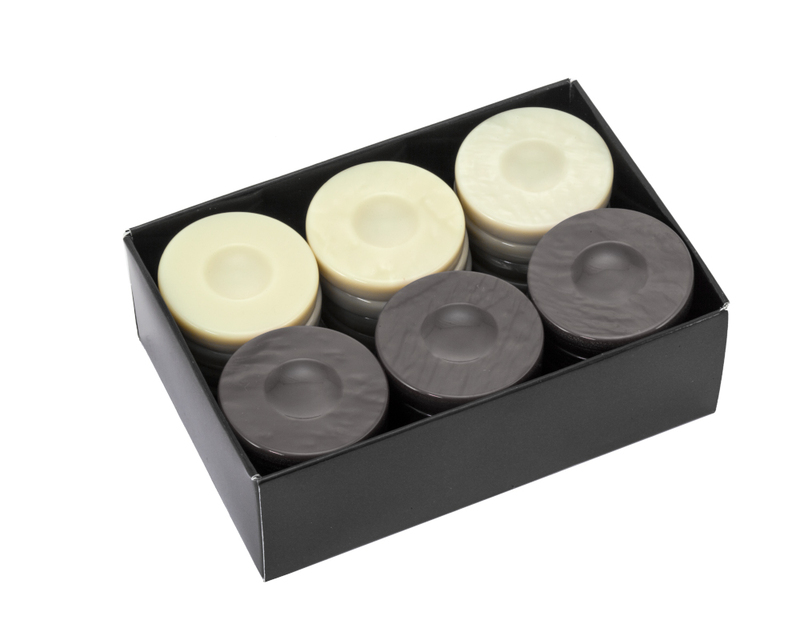 This particular set is ivory and a dark grey colour. It's hard to fault these magnificent counters. "Nice product nice price. Fast delivery."